Dive into the bizarre yet strangely familiar world of Mitchell and Webb – the wittiest men on television, or anywhere else. From the two finest comedians of their generation comes the ultimate Christmas comedy book – lavishly illustrated in colour, containing all sorts of outrageous stuff that will have you laughing into the spring and beyond. 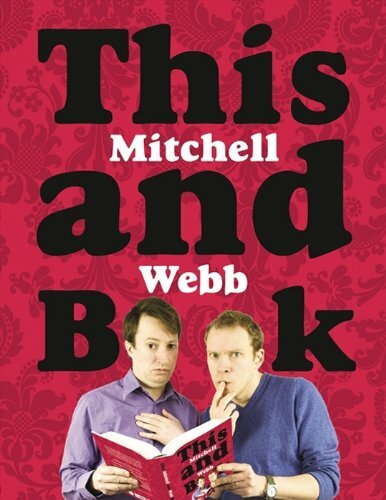 David Mitchell and Robert Webb have been hard at work cramming all the comic genius that marked their award-winning TV and radio shows into one very beautiful and very funny hardback book. Ted the snooker commentator’s Hello Magazine photo shoot will be unveiled for the very first time, and expect guest appearances from Dr Jonathan Miller and CSI’s David Caruso. David and Rob have also unearthed Hitler’s lost text messages and some notes Peter Mandelson left on his fridge. They will offer tips on surviving the credit crunch for all those that need them. Expect a board game put together by Sir Digby Chicken-Caesar, a guide to the cheeses of Saudi Arabia, and news of the ever-expanding range of Mitchell and Webb products. This Mitchell and Webb book will be supported by a frankly enormous marketing budget and stunning publicity everywhere. This will be the best comedy book for a long time, not least because David and Robert have put every page together themselves.